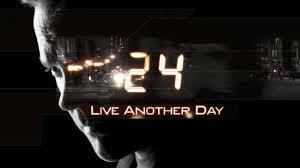 The most important part of the Super Bowl was the FOX network's teasers for 24:Live Another Day, which is due to premier on the 5th of May 2014. Jack Bauer at the end of Season 8 went into hiding in one of the most energetic exits to a TV series in 2010 (4 years ago!). The teaser shows Jack and Chloe on the run in London. The series is due to air on Sky One. Also Go Seahawks!